After a long break I am back again. 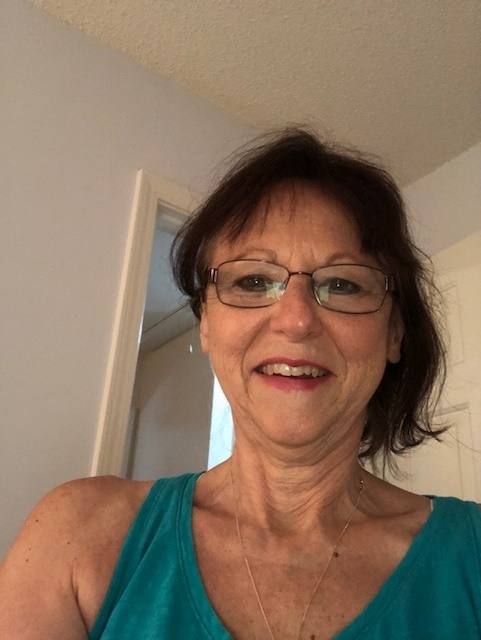 It was due to receiving an email from GoDaddy.com informing me it was time for me to renew the date on my credit card for my blog domain name. Well if I was going to pay to renew I better start blogging again. If I am going to blog again I needed to work on my quilt to have something to write about. 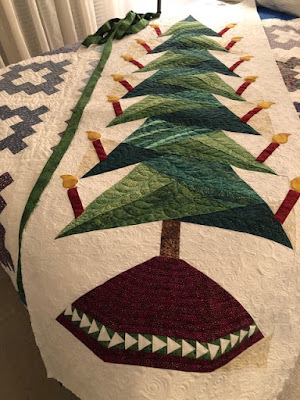 In December I found a couple of weeks to work on the Christmas Tree quilt, but the unexpected occurred, my husband took his flight to heaven. Life has been in upheaval for many months experiencing grieving like I have never known before. During the past 8 months there wasn't much time to sew or quilt. 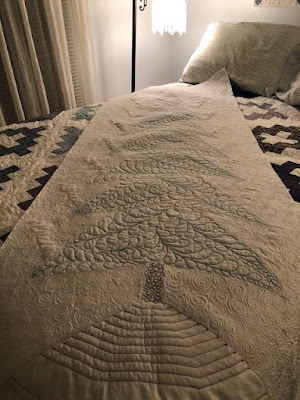 There were a couple of weekends where I finally completed the quilting. Yeah!! All that is needed is the binding and a hanging sleeve. This evening I worked on the binding according to my directions, which sheepishly I have to admit it didn't go as smoothly as anticipated. But I am at least on the road of completion, heaven forbid any interruptions. And I must say I am excited and happy to know that this quilt is almost completed. Maybe this weekend I can say done!! As you can see from the picture it is densely quilted. The back is as pretty as the front. Yes this is me with a big smile. I am longing to touch base with all my quilting friends and to see what you have been making. 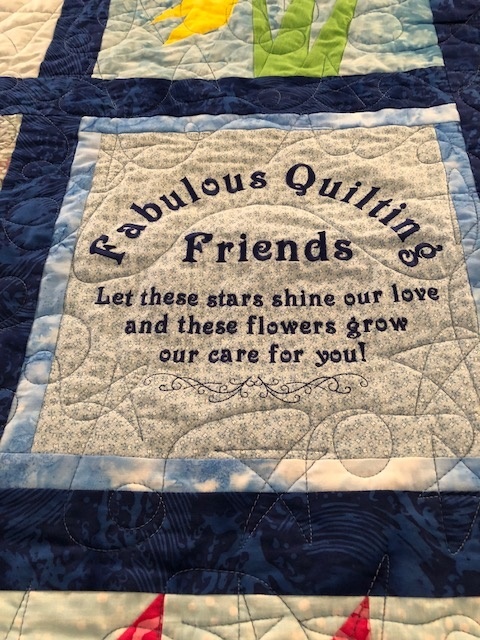 I am sure I have missed out on seeing some beautiful and great looking quilts. 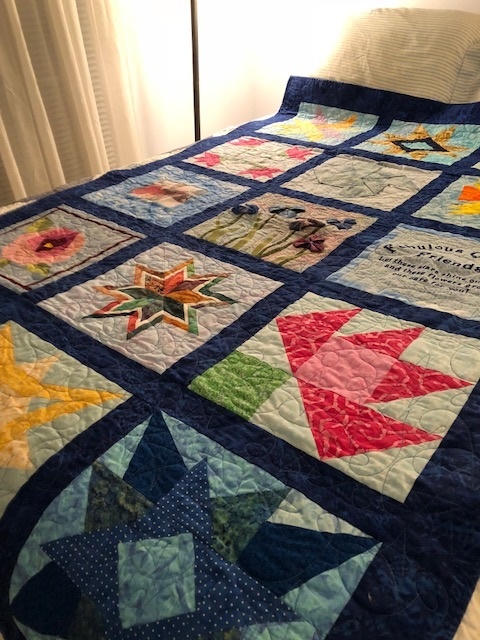 The snapshot of the quilt on the right is one that was gifted to me from the Fabulous Quilting Friends who collaborated to make this quilt to comfort me after the loss of my sweet hubby. It most certainly warmed my heart. It was a surprise too since most live in different states. One member of the group lives in Durham which is about a 3 1/2 hour drive from Charlotte. I thought she was coming to visit me not knowing she was going to be delivering me lovely quilt! I love the message on the label. What a wonderful quilt your friends created! I hope it brings you much comfort during this time of loss and always.